How Do I Get Rid of Fleas on a Kitten? Powders, sprays, shampoos and topical treatments can be used to eliminate fleas on a kitten older than weeks old. Some product treatments require a single application, while others require multiple applications. Different products treat different stages of flea infestation, so eliminating fleas on a kitten may require a regimen of products. Topical flea treatments are commonly applied on the back of the neck, between the kitten's shoulder blades. Topical treatments typically come in a single-dose tube filled with an oily medication, which is applied directly to the kitten's skin by parting the hair in the designated area. Kittens, because of their low weight, often require topical medications specifically designed to treat fleas on a kitten rather than on a cat. Never use flea treatments which are designed for dogs or puppies on cats or kittens, as this could have fatal results. 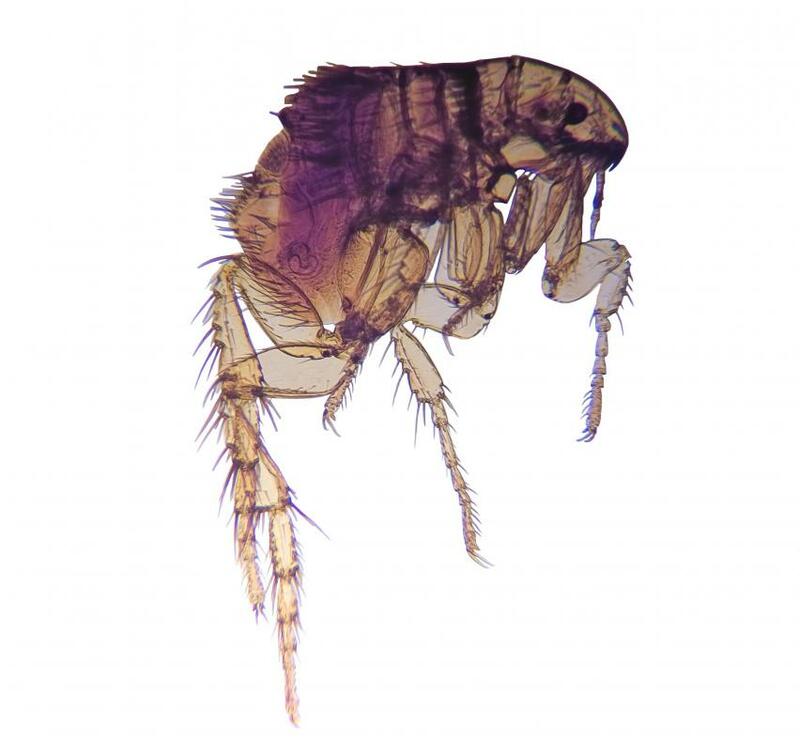 Flea sprays and powders are designed to kill fleas on a kitten at some of the different stages of a flea's life, from eggs, larvae, and pupae to adult fleas. Flea sprays should be carefully applied and worked into the kitten's fur. For the face and ear area, squirt the spray into your hand and carefully apply the liquid using your fingertips. To eliminate fleas on a kitten using flea powder, dust the kitten's entire body with the powder, using care not to get the powder in the kitten's nose, ears, eyes and mouth. 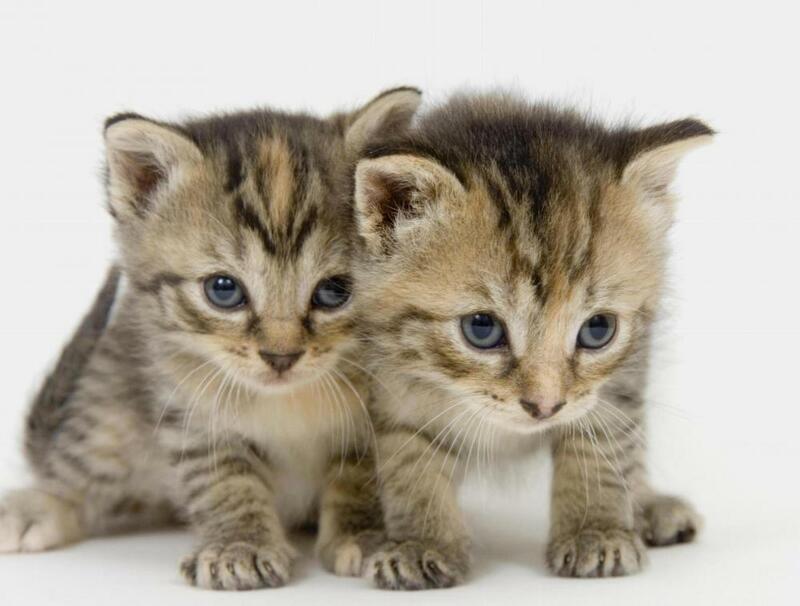 Very young kittens cannot have chemical treatments applied to remove the fleas. If you have a kitten that is less than 6-weeks-old, you can pick off the fleas on a kitten by hand. If the kitten is still nursing, treat the mother and the environment for fleas as well. Another option for removing fleas on a kitten is to bathe the kitten with warm water and Dawn® dish-washing detergent. Use care not to get the detergent in the kitten's eyes and be sure to rinse the kitten's fur thoroughly with warm water, but do not submerge the kitten's head or ears under water while bathing. Fleas on a kitten can also be removed by using a flea comb. Coat the blade of the comb with petroleum jelly to hinder the fleas' escape. As the fleas are caught in the comb, drop them into a dish of extremely hot water to drown them or tap them onto the sticky side of a piece of tape. Flea collars are not recommended for use to remove fleas on a kitten, as they can be dangerous for kittens and the chemicals can harm the kitten's neck. How Do I Choose the Best Cat Flea Collar? How Do I Choose the Best Flea Powder? How Do I Treat Fleas on a Puppy? How Do I Treat Ferret Fleas?